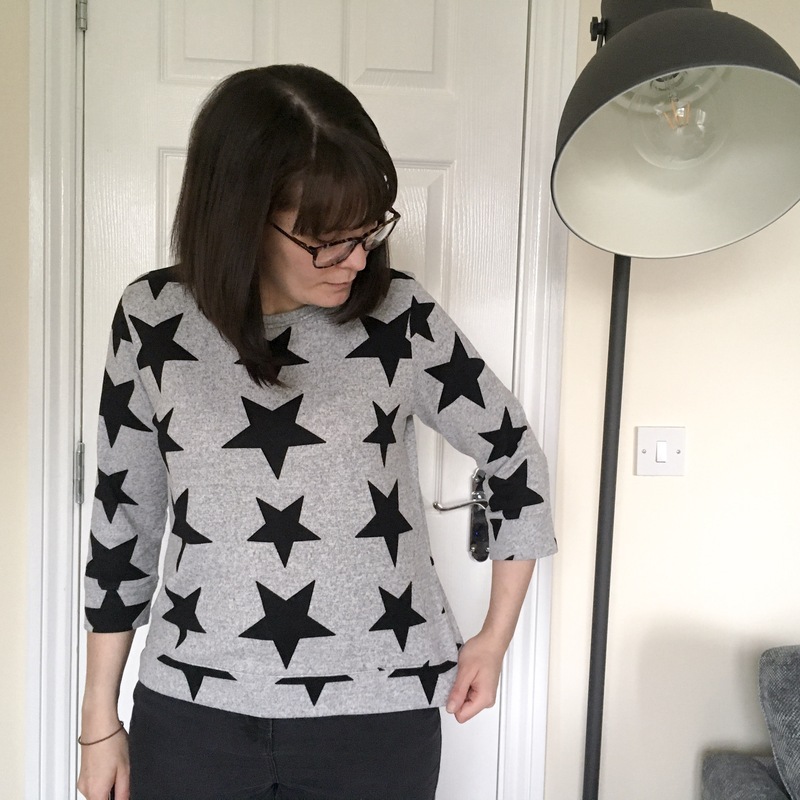 You guys know me… you know I love me some cosy snug clothes… well get comfy, because this is a tale of fate and possibly my most favouritist thing ever that I made ever. 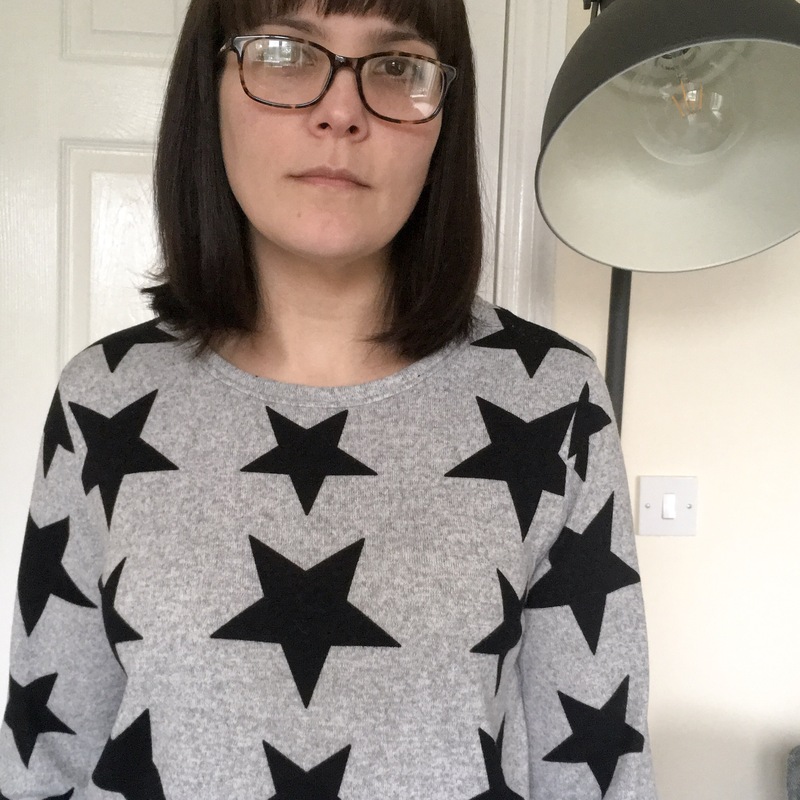 Back in the summer holidays I did a spot of fabric shopping in Fabricland (Reading) with my early sewing teacher and mother (pssst… they’re the same person). And on top of the sparkly black jersey of my previous post (go check that out if you’ve not seen it, it’s awesome), another fabric whispered my name from its shelf of fabric bolts. It insisted that I bring it home, and kept repeating that it would be my next awesome slouchy jumper. Well I listened to this fabric, even though the pattern was perhaps not what I would usually go for. And ye gads was this fabric right!! This is a soft fleecy backed, terry jersey… you can’t feel it but trust me… this thing feels like clouds and fluffy sheep and little bunny rabbits… it’s pretty nice! 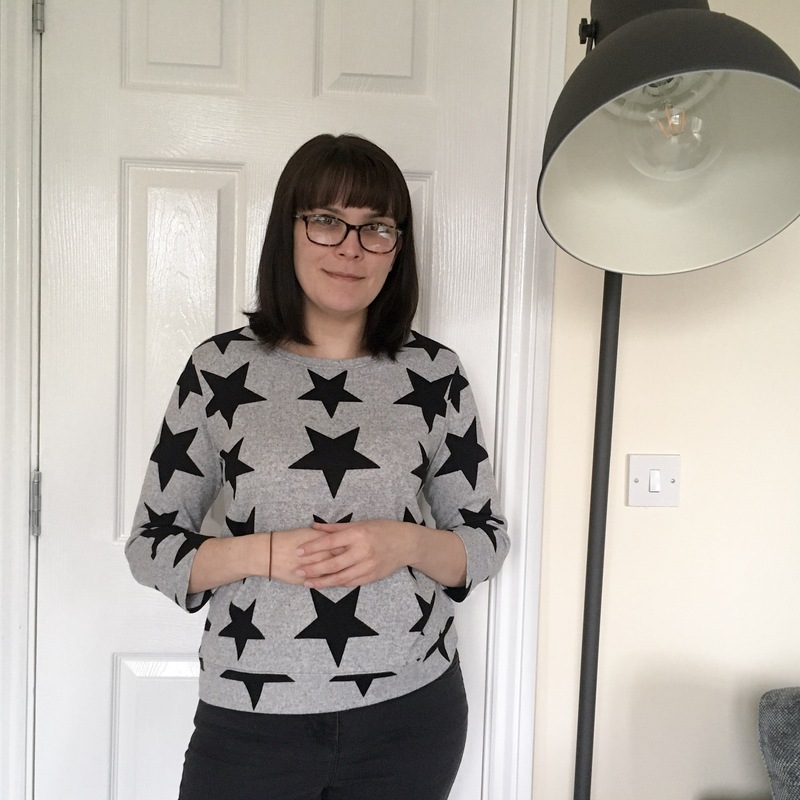 I found the perfect pattern in the Fraser sweatshirt from Sewaholic. But when I have made this in the past it has been fairly fitted… which was not the destiny of this fabric. I rectified this by going up two sizes to the 8 for the body, and tracing the sleeves and arm holes of the 6. Can’t be helped, and I’m certainly not crying about it! The other little mistake I noticed when I’d finished was that the stars are upside down! But again I’ve got over that too… they could also be said to be leaning either left or right. 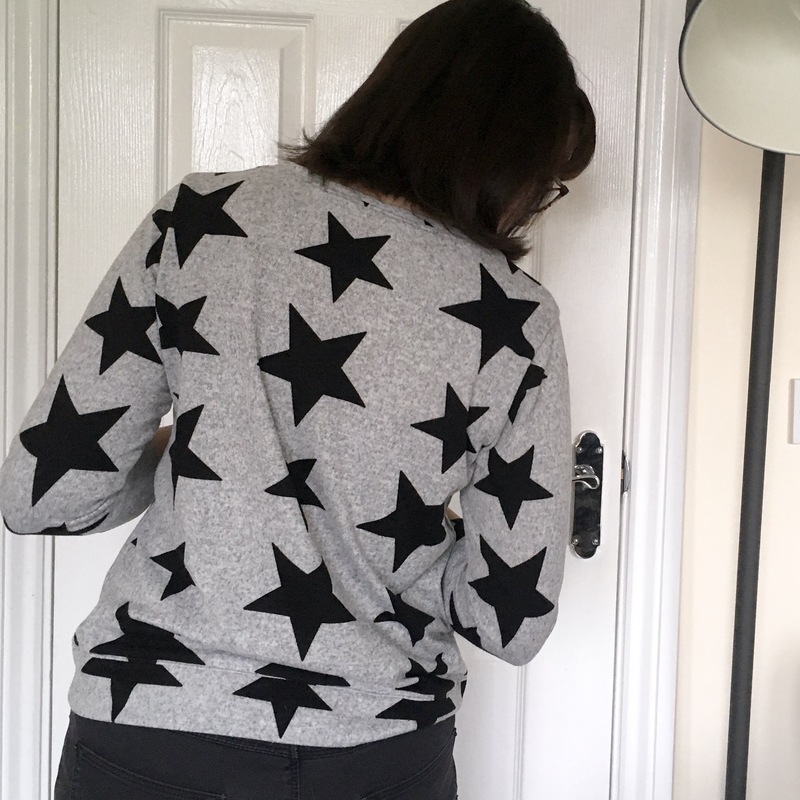 When I made it I wasn’t sure whether it would be a house wear cosy top… those stars are rather loud for me. 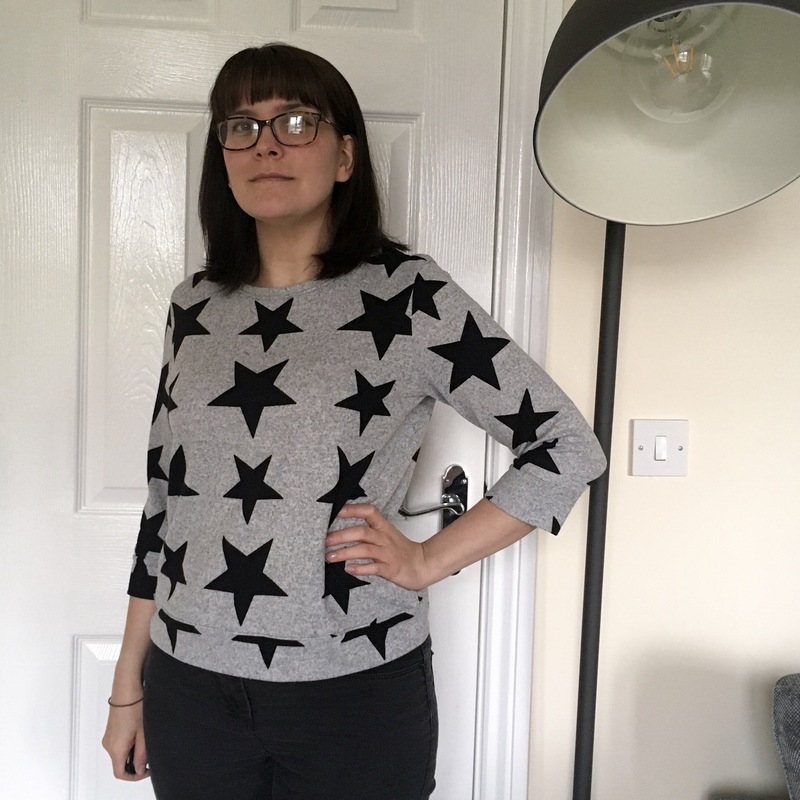 But as soon as I finished it and put it on I loved it and have worn it all over the place! I really love the loose casual fit of this Fraser too so I may plan a few more with the same fit. The moral of the story… listen to the fabric! The fabric knows best! Or something that makes me sound less like I’m losing my mind… ok one more picture… are you ready for a close up? 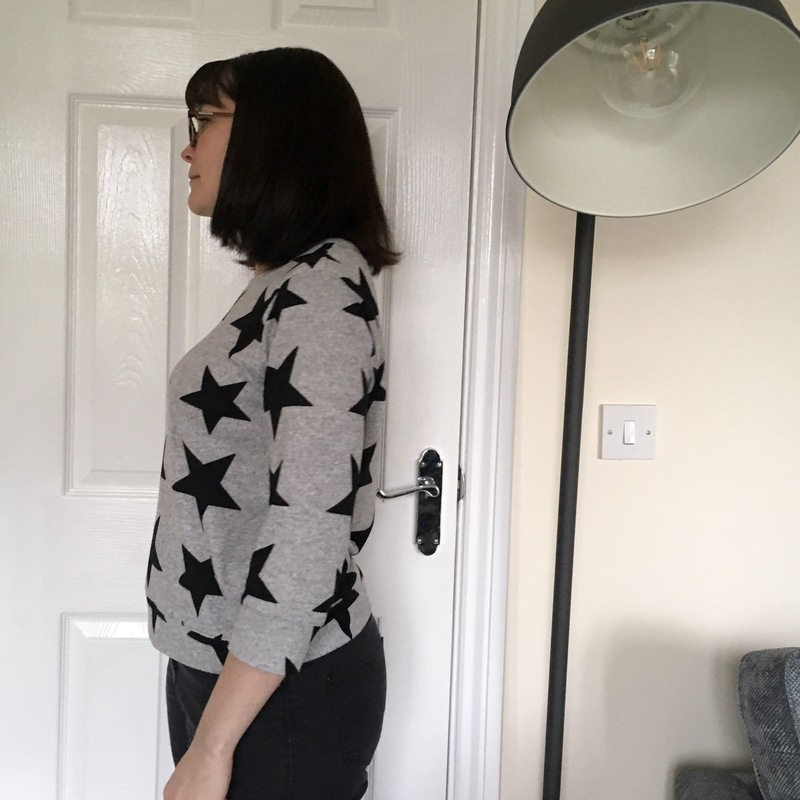 Previous Post The high-low hem… the final chapter?